Search Results for "tape reel"
Old coil tape recorder with magnetic tape on reels. Reel with recording tape close up in reel-to-reel recorder. An amazing 3d rendering of a violet and white cinematographic film tape. 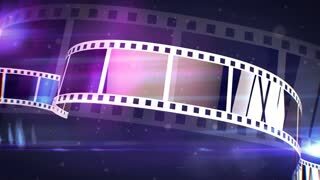 The film tape spins on a reel fast with the bright blue beams in the background. It looks like a film projecter work. 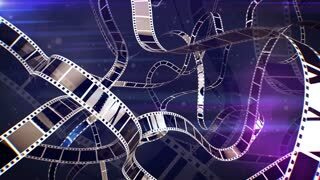 An impressive 3d rendering of a violet and white cinematographic film tape movement. 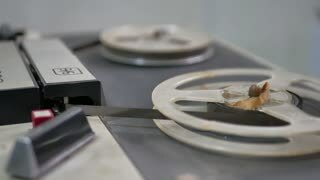 The film tape turns around in a curvy reel looking way. It looks as if it is inside of a film projecter. UNITED STATES 1970s: Man puts cards on table / Hands stack cards / Hands puts cards in machine / Tape reel turns / Zoom in on tape reel. 1960s: Tape reel rotates. Man's face. 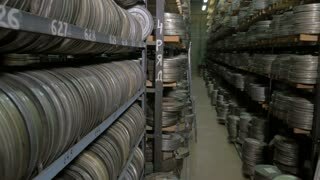 Close-up of reel's hub. Computer control room. Man at controls. Man picks up phone. Strobe light rotates. 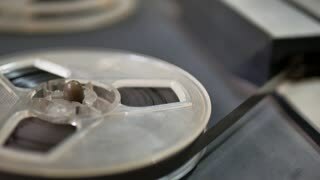 [ungraded] Reel-to-reel tape recorder rewinding tape. White reels spinning. Source: Canon EOS, ungraded H.264 from camera without re-encoding. 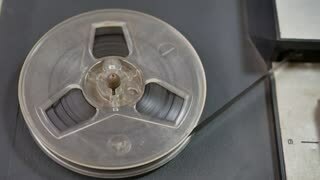 [ungraded] Reel-to-reel tape recorder playing tape. 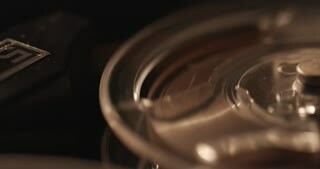 Transparent reels spinning. Source: Canon EOS, ungraded H.264 from camera without re-encoding. 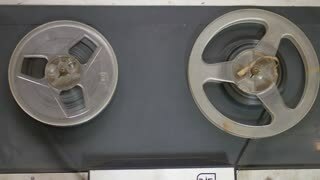 [ungraded] Reel-to-reel tape recorder playing tape. White reels spinning. Source: Canon EOS, ungraded H.264 from camera without re-encoding. UNITED STATES 1970s: Views of men in NASA control room / Man adjusts tape reels / Close up of typewriter, zoom out to computer complex. UNITED STATES 1970s: Man with survey equipment writes on chart / Hand adjusts tape reel / Aerial view of lake. UNITED STATES 1960s: Oscilloscope screen / Slides on screen / Abstract images superimposed with light waves / Footage of balloon, zoom out / Tape reel spins. 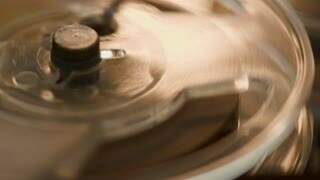 [ungraded] Reel-to-reel tape recorder rewinding end of tape. White reels spinning. Source: Canon EOS, ungraded H.264 from camera without re-encoding. 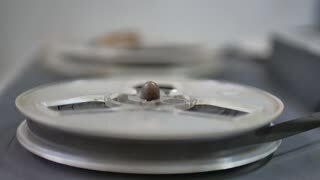 [ungraded] Reel-to-reel tape recorder playing beginning of tape. White reel. Source: Canon EOS, ungraded H.264 from camera without re-encoding. 1960s: girl lowers hand and talks in school classroom. man in suit and crewcut chats and stands by world map. guy in necktie speaks. 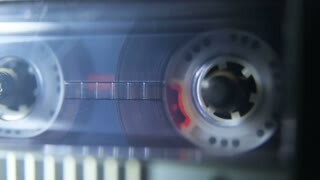 tape reel rolls on recorder. notebook paper lays on desk. 1960s: Cards feeding into computer. Computer tape reels turning. 1960s: Women file papers in office setting. Women carry computer tape reels in office. Men and women file cards in office. Man drives truck. 1960s: Tandem rotor helicopter in preparing to land. Helicopter rotor. Tape reels spinning. Revolving door. Businessman in corduroy suit enters revolving door. Helicopter rotor. Helicopter lifts off. UNITED STATES 1950s: View of tape recorder, zoom in on gauge / Close up of gauge and tape reel. 1960s: Man operating computer. Tape reels turning.